As the end of the year rolls in, many Jiu Jitsu academies will be hosting their final get together and promoting a number of students to the next level in their BJJ journey. There are various criteria when it comes to who deserves to be promoted and your coaches will be considering them all carefully to ensure you and your training partners move to the next level legitimately and with confidence. Below we’ve listed 5 of the main things your coaches will be considering this year and what is expected of you and your Jiu Jitsu. Dedication to your training is a very important thing that your coaches consider for grading. Consistency and improvement are the two factors making up dedication. Simply turning up to class once a month, only to show up regularly in the week before grading day, just won’t cut it. Your dedication proves your love of BJJ and your coaches will be well aware of whether you have it or not. Skill level is an obvious factor in your coach’s decision. You don’t have to be submitting everyone to show you’ve developed adequate skills for the next level. But you cannot expect to be promoted to a belt, like purple or brown, if you don’t have a grasp on the fundamental concepts. Sometimes your level of skill is actually well above your competition performance or how well you rolled with your coaches. Don’t let this get to you, be confident and have fun, because your coaches have been watching and they know just how good you are, even if you don’t. Discipline is important and it relates to our earlier point of dedication. Your coaches know who puts full effort into their drills and who pushes themselves to get better. They also see who’s talking during the drills and who gives up when things don’t go their way. Discipline is all about your mindset – so make sure you focus on positive self-talk in your head. … you can do this. This point may not be as important as the others on our list, as your performance in competition doesn’t always reflect your true level of Jiu Jitsu. Yet it is also true that strong and consistent competition performances are a good indication you’re ready for the next level. If competition isn’t your thing, that’s ok too. As we mentioned before, your coaches will be looking at all areas of your Jiu Jitsu when considering you for promotion. 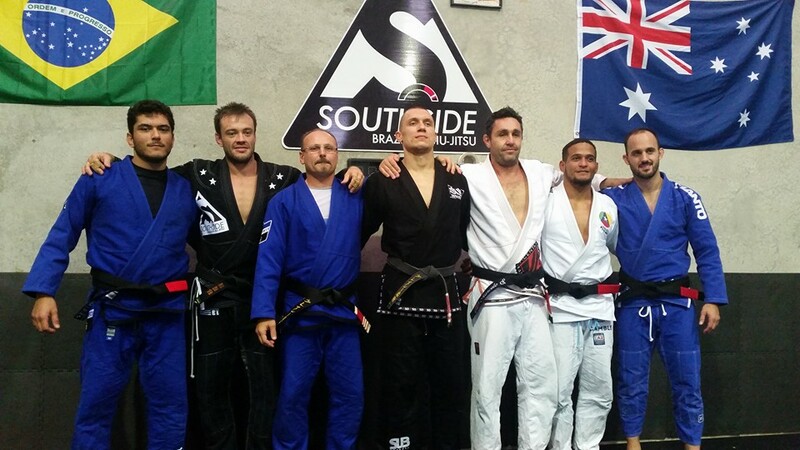 You don’t just earn your belt for yourself – you earn it as a representative of the sport and your academy. How you present yourself to your training partners, other teams and in public plays a huge role in whether or not you get promoted. Be humble, be willing to help and most of all show respect so that you, in turn, become respected.